The watch has evolved over hundreds of years. The electronics manufacturers only have few years of experience designing their smartwatches, so we bet that their smartwatch products will evolve quickly and will be getting better and better as time passes by. 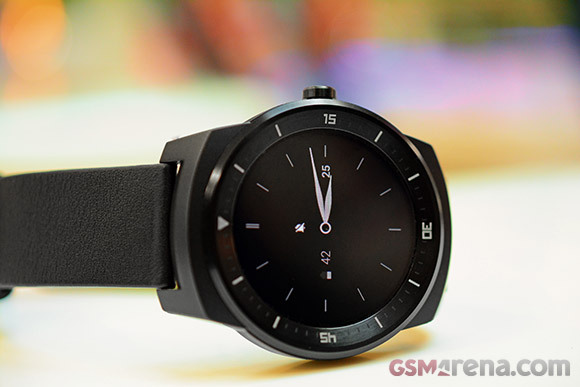 The G Watch R is the first smartwatch to feature a completely rounded display. And it's a great looking one at that. The P-OLED panel produces nice colors, it has excellent blacks and it has good side viewing angles. A discerning eye would still see the individual pixels, especially around small text. So perhaps that's one area that could be improved. On the inside, the LG G Watch R is more or less a smartphone sans the modem radio and a speaker. The Snapdragon 400 chipset with a quad-core CPU and 512MB of RAM power Android Wear adequately so the hardware is more than good enough. We would have liked to see an even longer battery life out of a smartwatch and perhaps having a thicker battery would be a nice solution. Not the least, it would help add some heft to this otherwise super light wearable. As you can see, we can't find any real faults with the G Watch R hardware. It would have been nice if LG had different color options like Motorola, but for now, you can only change the wristband with any off-the-shelf 22mm one. Psychology is also into play here. Remember, the G Watch is still a tech gadget and mentally, you're wired to protect it dearly. This means that while the smartwatch is IP67 rated, you wouldn't take a shower with it, nor would you be okay with exposing it to any water-related danger. But you shouldn't worry, the G Watch R is as good as most other waterproof wristwatches out there. Once we got used to that mentality, the wristwatch became the utility tool it was meant to be by Google. Android Wear runs well and everything in its limited set of features worked great. Of course, having your smartphone connected to the smartwatch at all times is a must for enjoying the platform's capabilities. As things stand today, there is no iPhone or Windows Phone support but we wouldn't be surprised to see that at some point further down the road. 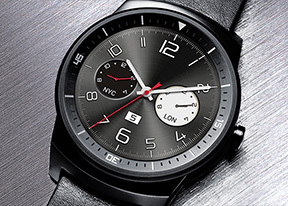 In terms of competition, the Moto 360 is the only other circular wristwatch. It's marginally cheaper than the G Watch R, but features a less potent hardware, not as sharp display and it has a smaller battery. However, many swear by its looks and indeed, the almost bezel-less Moto 360 is one beautiful piece of tech (and smartwatchmaking). The LG G Watch R is perhaps among the first smartwatches, which are worth their salt, but we're still not convinced about smartwatch functionality in general. It's as if smartwatches are not fulfilling a need, but trying to create one that didn't exist before. Don't get us wrong, that's perfectly alright by us. But right now, you should only consider getting an Android Wear smartwatch if you are the early-adopter kind of user. Android Wear still has a long way to come through until it starts offering a must-have experience and until it starts adding real value to smartphone users. 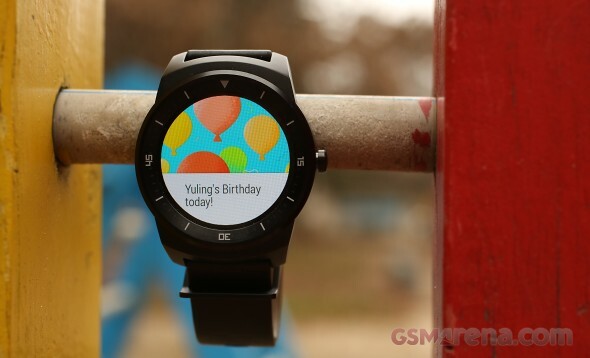 We're sure that whatever features they decide to add to it, they would become available to the LG G Watch R as well. So the future is bright and we simply can't wait for it to come.